9. Why are you applying for YRN? Searching for a good community to be apart of, I've always been very interested in YrN because of their respect within the community. I believe honor for your clan is very important. clan is like a family to me. 10b. How will YRN benefit you? Allowing me to be apart of a community of friends. 11. List some good/bad experiences in your most recent clan: I made new good friends, Some fun matchs, etc. 11b. 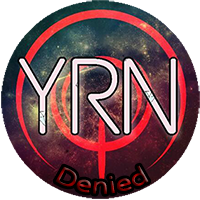 List some experiences you wish to have in YRN: Have some fun in the chat, make more friend, play with some skillful players of YrN, and respect. 15b. How active will you be on Discord, YRN forums, and PB2? Everyday. 16. What are your skills within PB2? Snipers, Raywars. 17. Describe what kind of person you are: A good person, never toxic, respect all players. 18. What do you value more and why: Skill or Attitude? Attitude. 19. Country of Residence: Brazil. 23. Extra comments: No one. Since you were in b4 , you know only one member? Why have u waited so long to reapply , meanwhile u applied to geno during this time u could've been applying.If you got denied here would u reapply or go apply to them? Most of what you listed that you can benefit with is already being contributed anything else unique? that would make you stand out from the crowd? Other clans , groups , cults or whatever u want to call them are respected in this community such as the one i mentioned above(geno) , boz etc. Why not them , why us? @Red X wrote: Since you were in b4 , you know only one member? @Red X wrote: Why have u waited so long to reapply , meanwhile u applied to geno during this time u could've been applying? Because geno is really a great clan, and I just wanted to join a clan, I do not want to play alone every day in the game with no friends to appear, because I'm not English so it's hard to call someone to play with me. But not anyone clan, a skilful clan that respects members, YrN does not equal geno that most members are toxic. So I thought I'd join YrN back. At least try join. @Red X wrote: If you got denied here would u reapply or go apply to them? @Red X wrote: Most of what you listed that you can benefit with is already being contributed anything else unique? that would make you stand out from the crowd? @Red X wrote: Other clans , groups , cults or whatever u want to call them are respected in this community such as the one i mentioned above(geno) , boz etc. Why not them , why us? Good application, but why do you pick attitude over skill? You cant be in another clan while applying for us.